The XL-Trike is a quick and low-cost electric vehicle that has been designed for the horticulture and greenhouse cultivation industry. Thanks to the many available options the Horti Trike can be deployed in many situations. 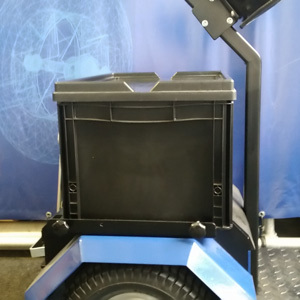 The Horti-Trike®is an electric powered trike which can be used to pull Danish trolleys, auction carts or a container. The Trike has a holder for a large black crate, perfect for mechanic tools. 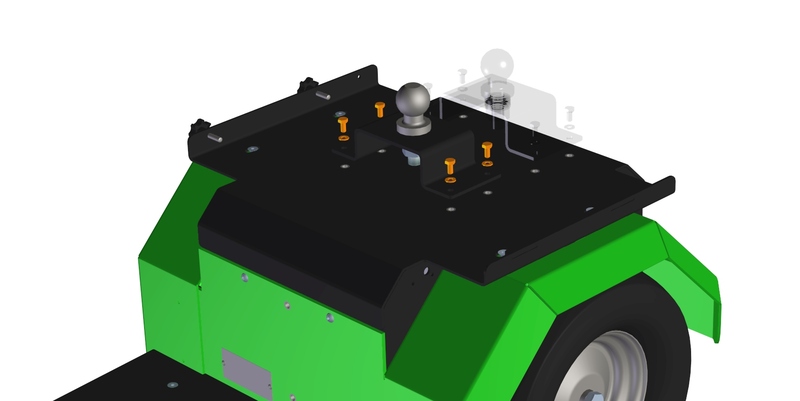 Thanks to its compact built it is very manoeuvrable through narrow pathways, and because of the heavier batteries and wider back this tug is a little more stable in corners. The large and wide air tires ensure a comfortable suspension. This also allows you to go over soft surfaces. 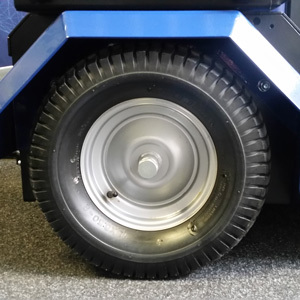 The trike has a programmable control, where the braking energy is put back into the battery again. Comes with batteries, charger, battery meter, adjustable tiller head with two speeds. The HortiTrike XL 1200 is equipped with an electric powered motor with a capacity of 1200 Watt. 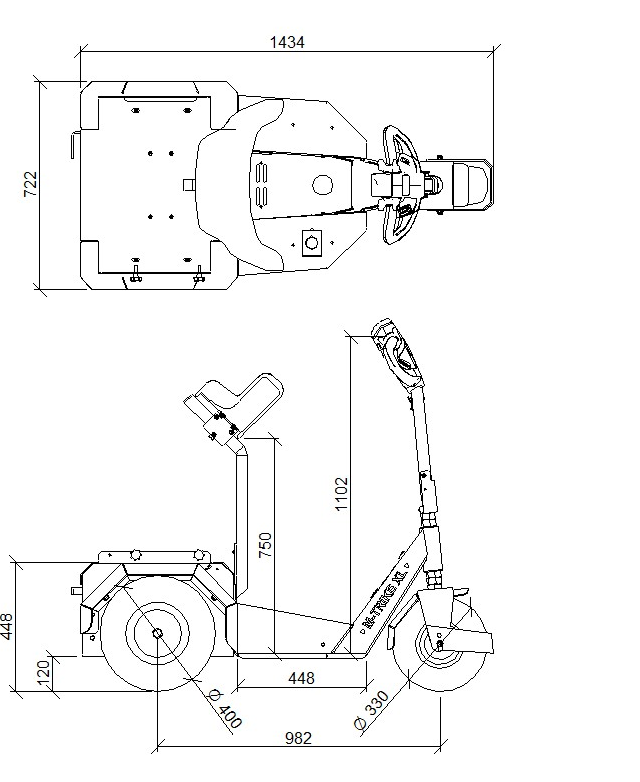 The dimensions of the vehicle are: L:1500 x W:750 x H:1300mm. Charging is done with an external charger that can be put in a power outlet. Charging takes about 8 hours. The metal is galvanized, and powder coated green by default, this protects the metal from all kinds of weather conditions. The warrantee on the HortiTrike XL is 12 months, and the battery pack is 6 months. Luxourious seating with or without belt, and arm rests. The video shows the Horti-Trike in combination with our wipponcar. There are various options available on the HortiTrike XL 1200 and the HortiTrike XL 3000. Below you find an overview of all the options. With a back support you can lean your lower back comfortably against a pillow. Perfect for when you have to get off the vehicle frequently. Great for people who have to order pick, or for an inspector. The lower back support feature is available for an additional €120. The luxurious seat is especially designed for those who need to cover long distances on the HortiTrike. 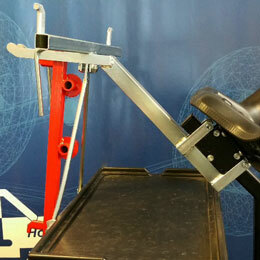 The seat comes with an adjustable suspension which can be set to three different settings. 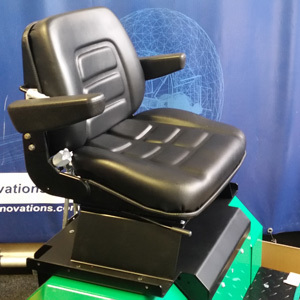 The back support can be adjusted forwards and backwards, and seating area can also be adjusted forwards and backwards in order to increase or decrease the distance to the steering wheel. Also available with the seat are arm rests and a seat belt. On the back of the HortiTrike is room for placing a crate. 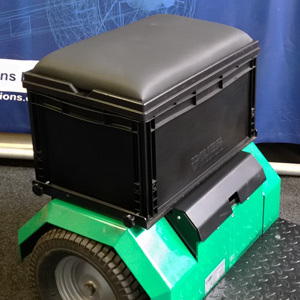 The crate has a dimension of 60 x 40 cm and can be mounted with two bolts on each side. When long distances need to be driven it is more comfortable to be able to sit down. 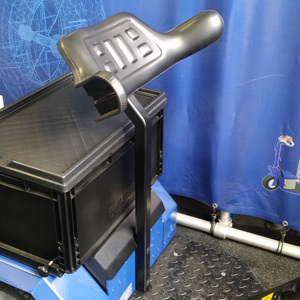 We offer a simple solution for this is a crate on which a seat is mounted on the lid of the crate. 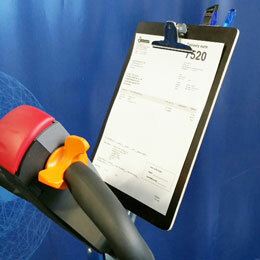 The orderpick plate is made for companies which use the HortiTrike to collect orders for customers. The plate has space for checklists, order notes and other administration. On the back is a special case for a pen and other equipment used by orderpickers. 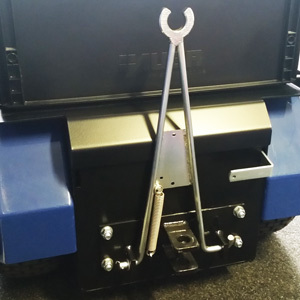 For the transportation of trailers of wipponcars with a ECC52 connector a tow bar can be mounted. There are two options available. With option 2 the tow bar is mounted on top of the assembly. 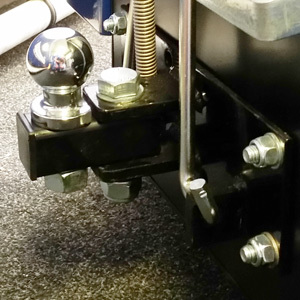 With this the tow bar has a height of 60 cm from the floor, this makes the tow bar suitable for higher trailers or caravans. The ECC13 triangle has a tow eye of 31mm, suitable for VBA couplers and the ECC1 coupler. Due to its design the coupler is entirely following the trail, and the triangle remains up thanks to the sprung construction when it's folded up. The ECC13 coupler is available for an additional €55. This holder is made to collect the ECC1 and ECC2 couplers. After work you can hang the couplers easily on the hook. If there is going to be a lot of driving on a terrain with a high flat tire risk you can opt to inject the tires with a synthetic solution. This way you won't get a flat tire anymore.